This work was supported by a grant from the Doris Duke Charitable Foundation to the University of California, San Francisco to fund Clinical Research Fellow Joelle Rosser. While working on this project, M.J.H. was supported through a National Institutes of Health career development award (KL2 RR024130-04). African Population and Health Research Center IAfRoC, World Health Organization. 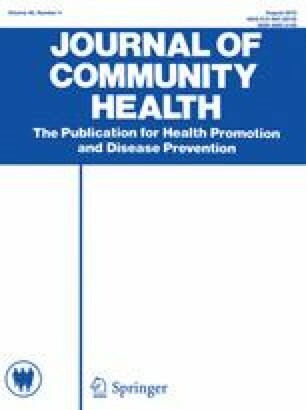 Prevention of cervical cancer through screening using visual inspection with acetic acid (VIA) and treatment with cryotherapy: A demonstration project in six African countries: Malawi, Madagascar, Nigeria, Uganda, the United Republic of Tanzania, and Zambia. 2012 (October 30, 2013). Available from: http://www.who.int/reproductivehealth/publications/cancers/9789241503860/en/. Districts of Kenya [database on the Internet]. Gwillim Law. 2013 [cited 14 April 2013]. Available from: http://www.statoids.com/yke.html. Open Data Kit. [September 2011]. Available from: http://www.opendatakit.org.